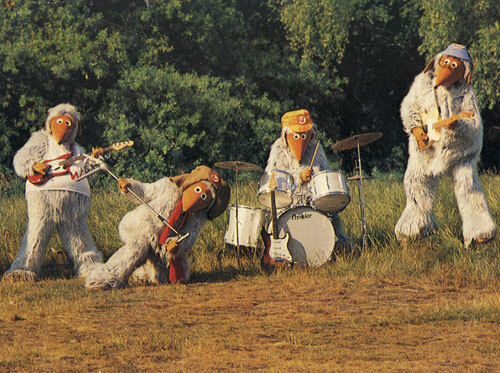 With exactly one month to go, The Wombles have begun rehearsing for their live performance at Glastonbury Festival, at a ‘secret location’. There’s also some hope for everyone who can’t go to Glastonbury. In response to a fan’s plea, “Can we have a concert from The Wombles at Cadogan Hall or somewhere we can all get to with families. Please!”, Mike Batt said “Good idea”. Evening. Sorry, @TidyBag, I’m not saying who’s in Wombles for Glasto. Chris Spedding isn’t. He may guest-solo in civvies, though. Hey, I’m being stalked by @TidyBag – he ought to be a private detective!